Why did Rebel Wilson Decide to Lose Weight? Did Rebel Wilson have Weight Loss Surgery? How Did Rebel Wilson Lose Weight So Fast? Rebel Wilson is a rising star in Hollywood, but she has always had issues with her weight. She became famous when she played the role of ‘Fat Amy’ in the movie Pitch Perfect. But, she is no more the ‘Fat Amy’ that one remembers her by. It was revealed in 2016 that she had started her weight loss journey and by the end of 2016, she has successfully lost about 33 pounds. Her weight loss journey has been quite remarkable and is an inspiration for everyone looking to lose weight but not getting enough motivation for doing so. Recently she stepped out in her own new self to promote her collection of REBEL Wilson X Angels. She has been sharing her weight loss transformation in social media to inspire other people looking to lose weight and feel that it is impossible for them. With hard work and dedication, she has managed to lose a lot of weight within a short period. It shows that it is quite possible for anyone to lose weight if they want. Before we get into how she lost her weight, let us know more about her. Rebel Wilson is a successful Australian actress, writer, and a producer. She was born on March 2, 1980. She graduated from Australian Theatre for Young People in 2003, and after completing, she appeared in Toula on the Special Broadcasting Service (SBS) comedy series Pizza and the Wedge. In 2008, she starred in a musical comedy series Bogan Pride that she also wrote and produced. In 2009, she was the Tropfest best actress for her role in Bargain and also appeared as a guest on City Homicide. She then moved to the United States to find more options. She won her first role in Bridesmaids. Some of the other top films where she has starred are Pitch Perfect, Pitch Perfect 2, Pitch Perfect 3, How to be Single, A Few Best Men, What to Expect When You’re Expecting and others. In all of the movies she has played, her weight has always been central to her character. It was during an early career as a comedian that she thought that she could get movies and much better roles if she were overweight. She thought that it was what was needed to be funny and for people to laugh at her. It has been a norm that fat girls were always better than the thinner ones so she had put on more weight just so that she could land more movies. When she landed her movie Pitch Perfect, it was mentioned in the contract that she could not lose any of the weight until the movie filming was over. Once the first part got over, there were talks of more two movies, and thus, she had no choice but to remain overweight. After the movie contract ended, she started to opt for a healthier lifestyle but losing weight was always a struggle. In 2011, she also promoted the company Jenny Craig which is a popular weight loss program from Australia. She had lost about 22 pounds, but after the contract ended in 2012, she again had to gain weight for her movie role. But, she now plans to lose her weight and not be overweight anymore as it was causing her numerous problems. There are rumors that Rebel Wilson might have undergone weight loss surgery, but it is not true. She has always been proud of her curves and had been proud of it. Even when she signed her first film, she was told by people not to lose weight as it is something that sets her apart from others. But, she told people that it is not about being fat or slim, one has to be comfortable in their own skin. She added that all she wants is to be healthy and be comfortable in whatever size she is. She is a warrior of body positivity. Rebel Wilson has always been open about her weight loss journey and shared her photos and everything with her Instagram followers. She had joined the Ranch 4.0 weekend weight loss and managed to lose 8-pound weight in just four days. The Ranch has been designed for people looking to live a healthier lifestyle. People can arrive on a Thursday and then leave on a Monday making it perfect for professional people. The program includes 8 hours of extensive fitness activities like mountain climbing, stretching exercises and much more. It also contains a cooking program where people learn to cook healthy food for themselves. They also receive daily massages that allow them to relieve the anxiety and tension in the body due to the sudden lifestyle change. Once Rebel Wilson returned home from the Ranch, she has engaged herself in exercise regime in order to stay healthy. She works out four times a week and indulges in jogging, squats, push-ups, and lunges. To lose weight, it is no surprise that people take help of supplements and Rebel Wilson is no different. To give a kick start to her weight loss journey, she added Garcinia Cambogia Extra to her diet. She matched it up with regular exercise, walks and diet changes. The amount of dosage that one should take depends on the amount of weight that they have to lose. It has been seen that people who take a higher dosage of Garcinia Cambogia increase more weight. It is best to speak to your doctor before taking the pills. But, it is also essential that one follows a strict diet and exercise regularly for the weight loss supplement to work. Rebel Wilson had a strict workout plan and also a fix diet plan along with taking Garcinia Cambogia regularly. So, what is Garcinia Cambogia? It is actually a fruit that looks like a pumpkin but is much smaller. It has a sour taste and is mostly found in the South Asian countries. It has been used by the natives for years for curing many ailments, as a food preservative and also as part of their dishes. It has also found to contain weight loss properties because it contains hydroxycitric acid or HCA in high quantities. It has proven to double the rate of weight loss when consumed on a daily basis. There are many benefits of Garcinia Cambogia, and thus it is available in supplement form for those who do not live in South East Asia. 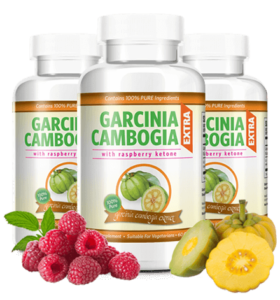 Anyone with a little will to lose weight can dramatically benefit from the use of Garcinia Cambogia supplements. It helps prevent the storage of fat in the body. HCA helps blocks an enzyme that converts food into fat. It converts the food into glycogen which as a good energy source for the body. It helps the body to burn the stored fat easily and not let new fat to be produced. Thus, one can see results within a couple of weeks. Garcinia Cambogia helps suppress the appetite making it easier for people to resist the temptation to eat. Snacking at odd times can increase weight. Thus, Garcinia Cambogia helps people to suppress this hunger and not put on too much weight. Garcinia Cambogia helps build lean muscle which is essential as one lose weight. It helps people get a tones body rather than hanging skin that can look ugly. Since Garcinia Cambogia is a product containing only natural ingredients, it does not have any negative side effects. One can easily take the supplement along with other medications without any problem. But, before you start taking Garcinia Cambogia, it is essential that you look at the different brands in the market and pick the one that is authentic and has good reviews. Make sure that you follow the instructions and take the dosage that has been prescribed for you. By doing so, you can ensure that you are able to see results quickly. Rebel Wilson came across Garcinia Cambogia and came to know about the benefits that it provides. After taking it for a few days, she realized that it was working for her and she decided to continue with it even now. It has helped her lose weight much faster and eating clean has allowed her to maintain that weight too. She has never been much happier with a weight loss product than she is with Garcinia Cambogia. She advises people to start taking the supplement if they have tried everything else and have not seen any result. Rebel Wilson’s workout plan had many different types of exercise included so that she did not get bored with the same routine. All of the exercises were quite easy and can be easily done at home. She used a workout plan with the name Methodology X that allowed her to lose weight fast. The workout plan has a mix of Pilates, strength training, martial arts, dance activities and even plyometrics. The main workout is about three months long, but a person is free to continue it after that to maintain the weight loss. Apart from working out, she also goes for walks daily. Thus, walking can be a perfect exercise who does not want to join expensive gyms. She also loves playing tennis and indulges in it every week. Rebel Wilson has always been a fan of being active and ensures that she loses weight in between her shoots with regular workouts. By following a strict diet plan when having Garcinia Cambogia, one can lose weight much faster. One can shed up to 15 pounds of weight in a matter of three weeks through it. Most of the weight that Rebel Wilson lost was due to the diet plan that she followed. Her food plan included food that was rich in antioxidants, caffeine, metabolism boosters, and healthy fats. In the first week, she started out by taking one small snack along with three meals. In the next two weeks, she added eggs and fish to her diet and also increased her time of exercising. She stayed away from all fast food and aerated drinks. She also drank a lot of water during this time. Rebel Wilson cut down on all sugar from her diet such as sweets, sodas, and other artificial sweeteners. It has been seen that sugar can lead to increase in weight. Thus, by embracing sugar-free diet, it is possible to lose weight quite quickly. She also chose food that contained more fiber rather than calories. Rebel Wilson advices those looking to lose weight that they should not give up if they don’t see results. Losing stubborn weight takes time. She also added that one should not be afraid to take help from experts when it comes to losing weight. But, one should try to lose weight naturally and with proper exercise. One should eat supplements and food that will help in burning the fat and calories from their body. She also encouraged people to go on fitness holidays as it allows them to be disciplines regarding exercise and the meals. She also regularly drinks green juices to help detoxify her body and also give her body the nutrients it needs. She asks her fans to eat organic food compared to the inorganic ones. According to Rebel Wilson, it is okay to treat your body once in a while, but one should ensure that they are eating clean most of the time. Even with her busy schedule, she has been able to take out time for her body and has undergone a tremendous transformation with her weight loss. If she can do it, anyone can do it but with just a little push.